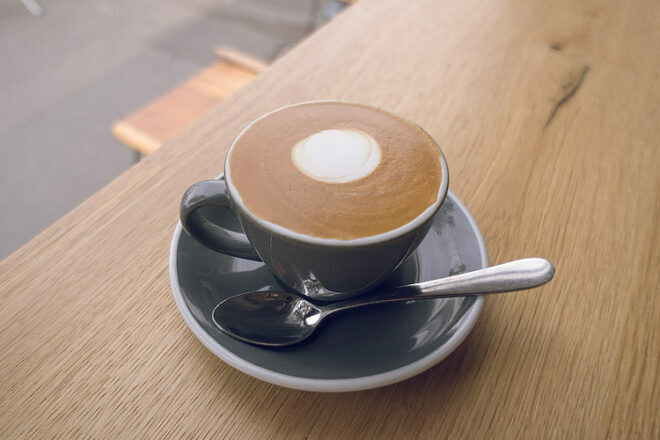 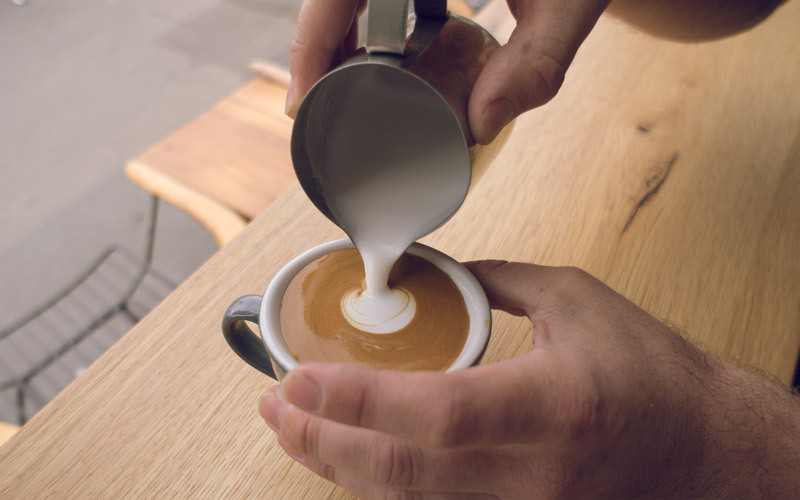 Once you have mastered the stretching and heating and pouring of milk you should explore how to present that flavoursome beverage, the circle is one of the basics of latte art and is a great starting point. 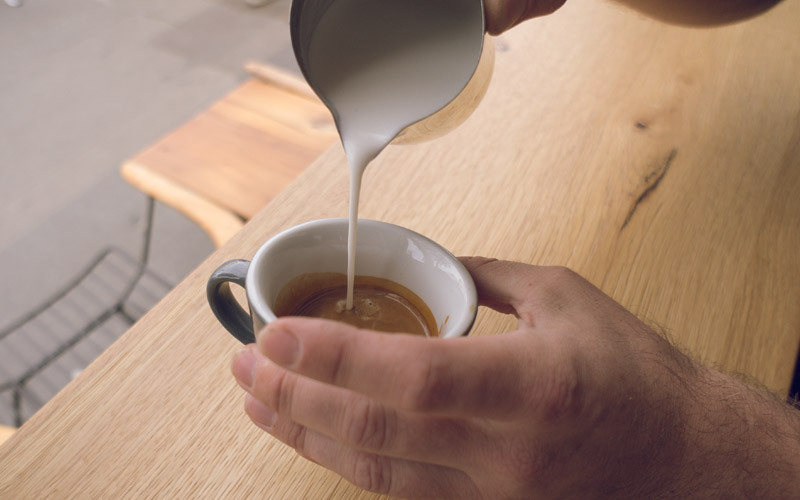 When the cup is 1cm from been full, lower the milk jug quickly towards the crema and let the texture out of your jug by angling it forwards slightly. 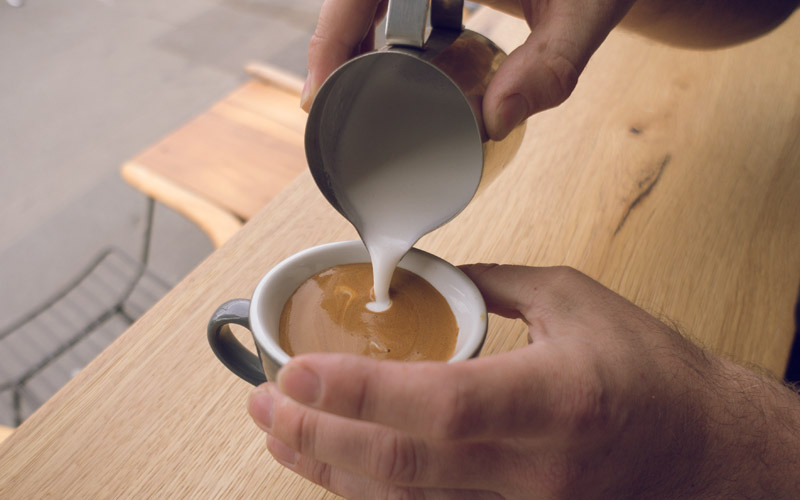 The white milk texture should start to form a white circle in the centre of your cup, continue until cup is full.